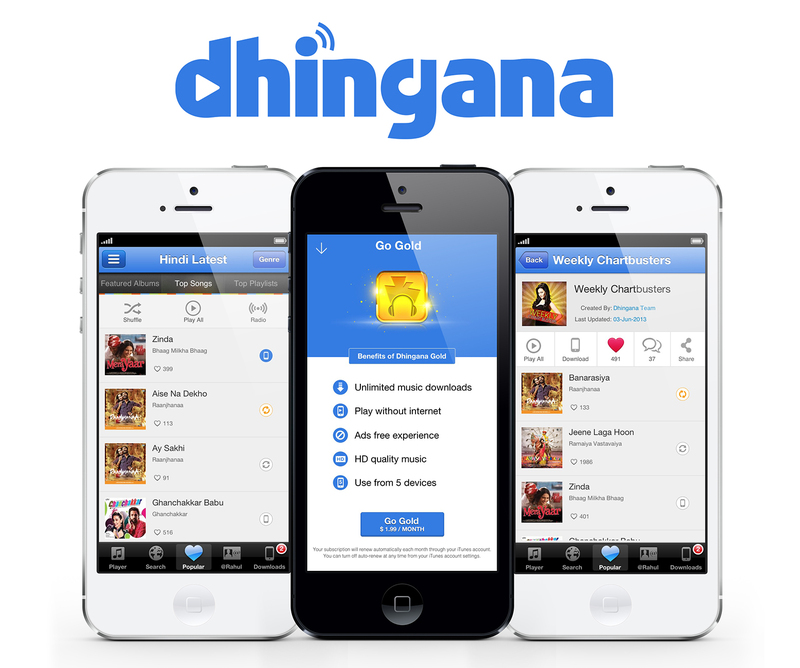 Indian music streaming service Dhingana has launched an ad-free paid subscription service for its iOS app as it steps up efforts to monetize its mobile content. The subscription service, called Dhingana Gold, is being offered as an in-app purchase at $1.99 per month. Besides being ad-free, it also allows users to get premium features such as unlimited music downloads, offline access to songs and the ability to sync downloads across two devices. All new users will get a 15-day free trial for the service. Dhingana’s move comes hot on the heels of it introducing video-roll advertising to its iOS app last month, which companies can use to run 10-30 second pre- or post-roll clips that are integrated into the app. The company’s stepped-up focus on its mobile apps is not a surprise, considering that in India data suggests mobile Internet usage has already passed that of PCs. Its rival Saavn recently launched a ‘Pro’ version, while Times Internet-owned Gaana finally launched on mobile last month. Dhingana CEO Rohit Bhatia had told TNW earlier this year about Dhingana’s three-pronged approach to monetization: its ad-based business, subscription-based services (which are particularly popular with the Indian diaspora) and domestic carrier billing. Dhingana is one of a number of Spotify-like streaming services for Indian music (others include Gaana and Saavn). It offers more than 1 million songs across 42 languages and claims a monthly active user base of more than 15 million. The service is available for iOS, Blackberry, Android, Symbian Windows Phone and via a Web-based player. Founded in 2007 by twin brothers Swapnil and Snehal Shinde, Dhingana raised an investment round of $7 million last year.